Situated in the mountains, this spa hotel is 1.6 mi (2.6 km) from Grenzlandschaft and Museum Sorge and 2.6 mi (4.2 km) from Ring der Erinnerung. St. Salvator Church and South Harz Nature Park are also within 6 mi (10 km). Situated in Oberharz am Brocken, this aparthotel is 1.5 mi (2.5 km) from Grenzlandschaft and Museum Sorge and 2.6 mi (4.2 km) from Ring der Erinnerung. St. Salvator Church and South Harz Nature Park are also within 6 mi (10 km). 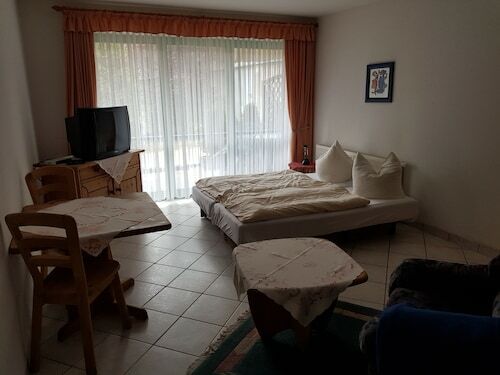 How Much is a Hotel Room in Oberharz am Brocken? 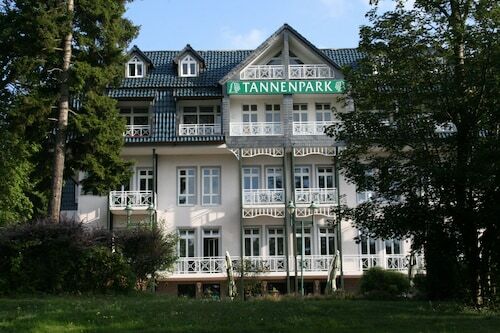 Hotels in Oberharz am Brocken start at $62 per night. Prices and availability subject to change. Additional terms may apply. 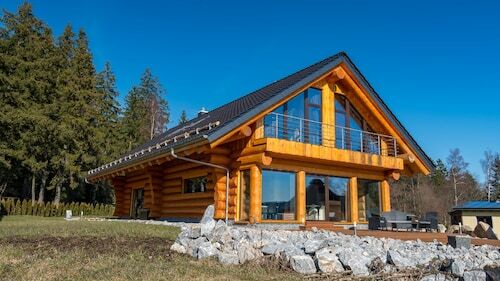 For those wanderers wanting to discover a base for their adventures close to the bright lights of Oberharz am Brocken, Travelocity's booking page offers several options. 3 hotels sit within a 6-mile (10-kilometer) distance. There are only a few Travelocity-listed rooms within an easy walk from downtown Oberharz am Brocken. The Hotel-Restaurant Druidenstein is an ideal choice as it's only 2 miles (3 kilometers) away. Oberharz am Brocken features just a handful of no-frills hotel options; you will find the Zum Sonnenhof 4 miles (7 kilometers) from the downtown area. 9 miles (14 kilometers) outside of the main part of Oberharz am Brocken, you will find the Ringhotel Weißer Hirsch. Alternatively, the Landhaus Zu den Rothen Forellen is located 12 miles (19 kilometers) away. The Travel Charme Gothisches Haus and also the Maritim Berghotel Braunlage are some other places to book accommodation around Oberharz am Brocken. Once you have got to know Oberharz am Brocken, why not take the time to explore the fascinating region of the Saxony-Anhalt area. Get around Saxony-Anhalt's castles, old towns and fortresses. Nature lovers should also make the time to admire its forests. Common things to do in this pocket of Germany include snowboarding and skiing. Goslar is 20 miles (34 kilometers) northwest of Oberharz am Brocken and is home to Goslar Imperial Palace and Mines of Rammelsberg. Travelocity-listed Goslar rooms include the Altstadt Hotel Gosequell and RAMADA Hotel Baeren Goslar. For another option, stay in Sorge, 5 miles (8 kilometers) to the west of Oberharz am Brocken, where you have the options of the Hotel Tannenpark and Landhausferienwohnungen Am Brockenblick. Should you choose to stay in Sorge, be sure to explore the Grenzlandschaft and Museum Sorge and Ring der Erinnerung. Ensure you get your sporting fix by making a journey to Volkswagen Arena, which is found 50 miles (81 kilometers) to the north of Oberharz am Brocken. Visitors who would like the convenience of sleeping nearby, make a reservation in the The Ritz-Carlton, Wolfsburg or TRYP Wolfsburg Hotel. Erfurt Airport is a primary gateway for those arriving in Oberharz am Brocken. You can find it 50 miles (82 kilometers) from the downtown area. For travelers who would prefer to find a base nearby, try the Airport Hotel Erfurt or Hotel & Restaurant Park-Cafe ISA.